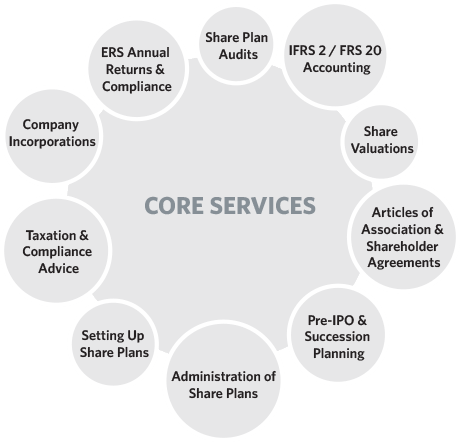 Share Plan Partners offers specialist design and advisory share plan services for listed and private companies. Our knowledge of the share plan industry is drawn from over 15 years of experience working with companies across all service sectors, no matter their stage of development, size or global footprint. We advise both private and listed companies as well as companies quoted on AIM and ISDX. We will not pass on your data to third parties. Share plans attract and motivate key employees, and promote more sustainable decision making for the benefit of shareholders over the long-term. There are various types of share plans that companies may consider offering, be it on a selective or an all-employee basis, but we tailor the solution to your particular business needs. Our mission has always focused on how to be useful to the companies we advise, where we are able to offer a one-stop-shop that ensures the implementation, administration and on-going support to our clients is comprehensive and seamless. It is for this reason many of our clients have been with us for years. Recognising that there are many affiliated areas which clients often need to consider alongside the operation of a share plan led us to create an independent network of Partnered Solutions which includes carefully selected third party industry experts in those service areas which companies most typically ask our advice on. Our knowledge of share plans and the areas they overlap with enable us to offer our clients an all-together easier and more supportive approach to share plan services. Contact us for a FREE No Obligation Consultation or if you would like us to make the right introductions through our Partner Programme. Why are effective share plan communications important?